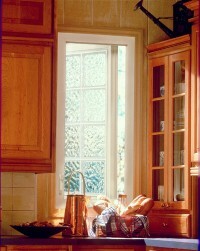 Block Windows - Reinvented - Gaskell Windows. State of the art decorative glass and acrylic block windows. 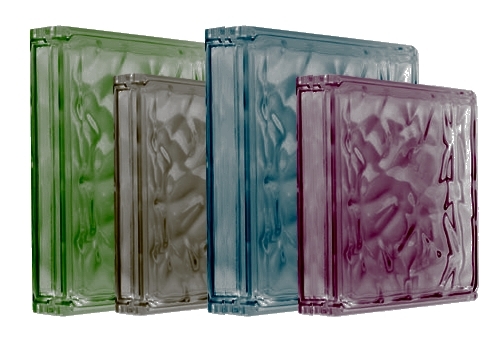 Acrylic blocks are pre-assembled, no grouting, no waiting. Operable and fixed block windows available. Available for entire walls to enhance your design and style. Available for new construction and retro-fits. Operable and fixed door inserts available. 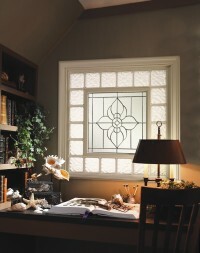 Leaded glass windows in a variety of designs. Energy efficient, beveled glass in low maintenance vinyl frame. Glass is triple glazed: tempered glass inner and outer panes protect the decorative camed (leaded) pane in the center while providing thermal efficiency. Obscure glass pattern for privacy, making them ideal for bath, spa, stairway and kitchen applications.